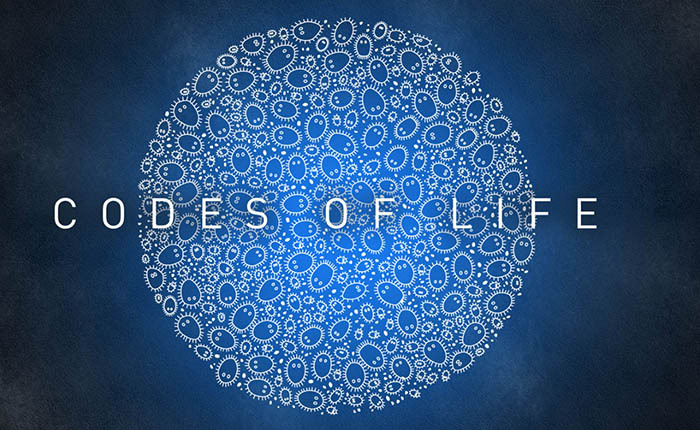 Codes of Life is an Ipad app prototype which explores the creation of synthetic life, it’s future applications and possible ethical questions. 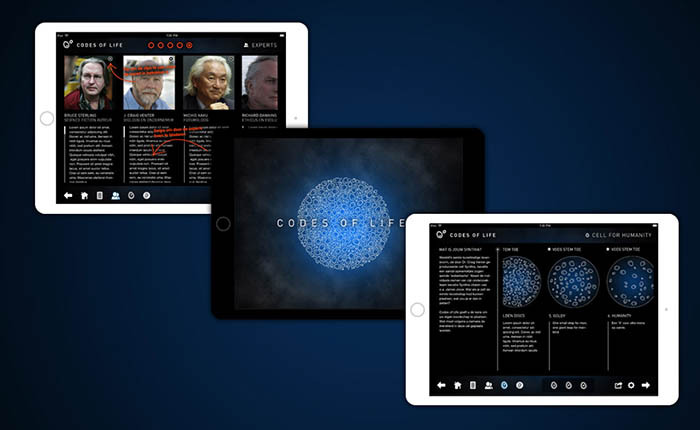 Through video interviews with scientist, philosophers, futurists the subject is unraveled in a informative and accessible way. 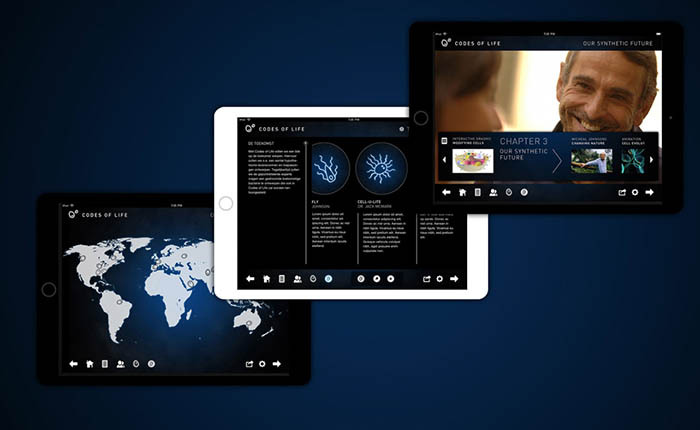 The prototype was developed for Mediafonds@Sandberg masterclass in cooperation with designer Henrik van Leeuwen.